There is a desire to catch and contain, control and master, but the object of desire keeps slipping away, eluding our grasp. 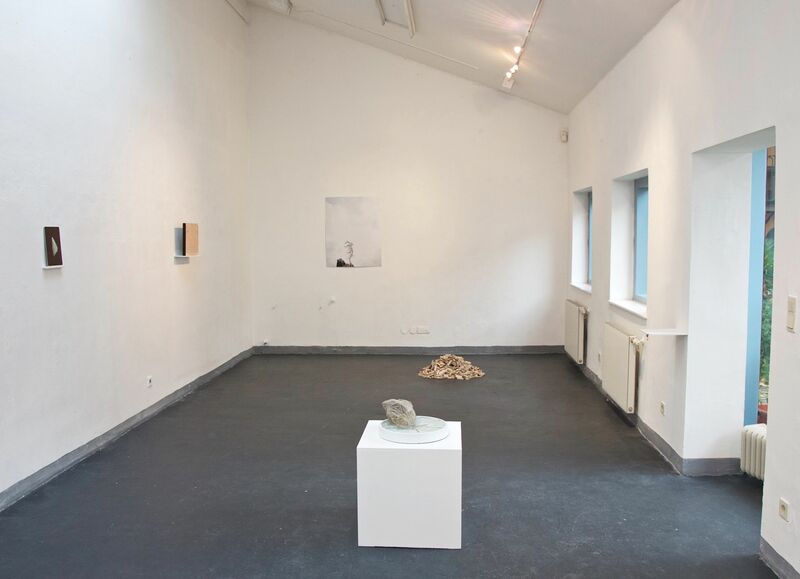 This exhibition presents six works and was first show at Kunstverein Baden. 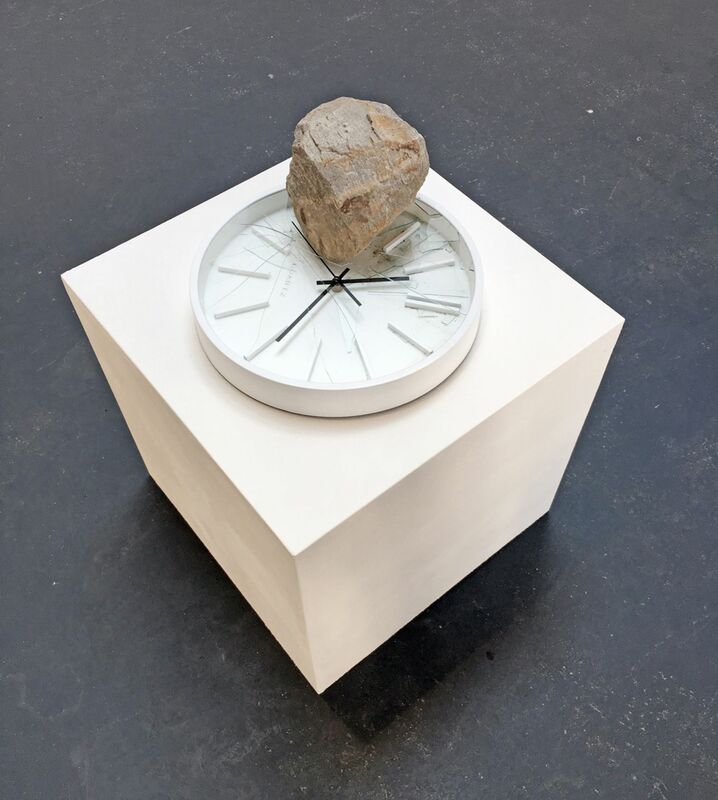 It was the outcome of a 10 week residency in Krems, Austria. 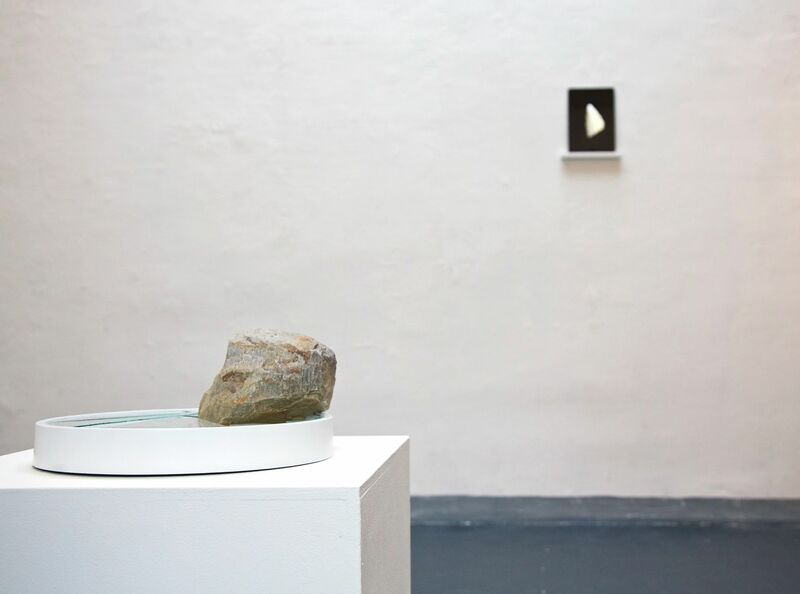 The residency project was supported by RMIT University's SITUATE program and AIR Krems. 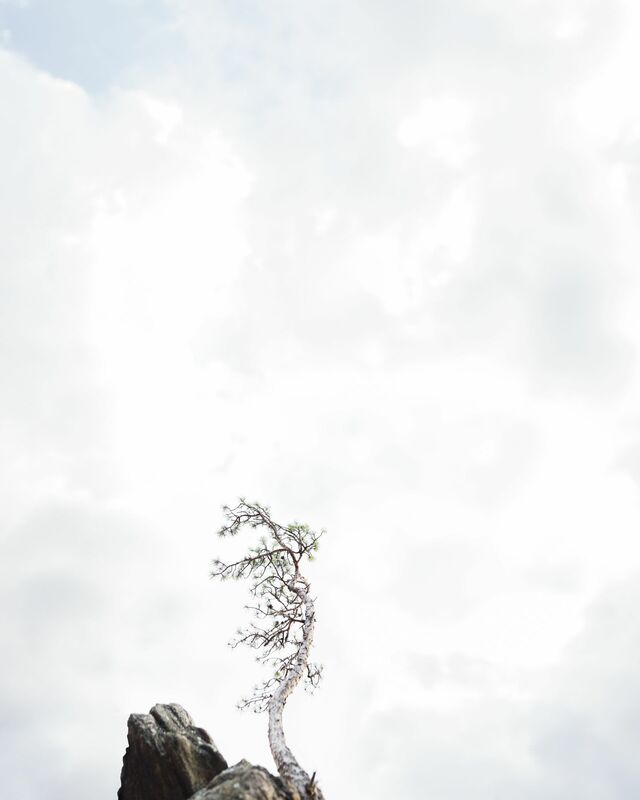 The uplift of sky, earth's anchoring. 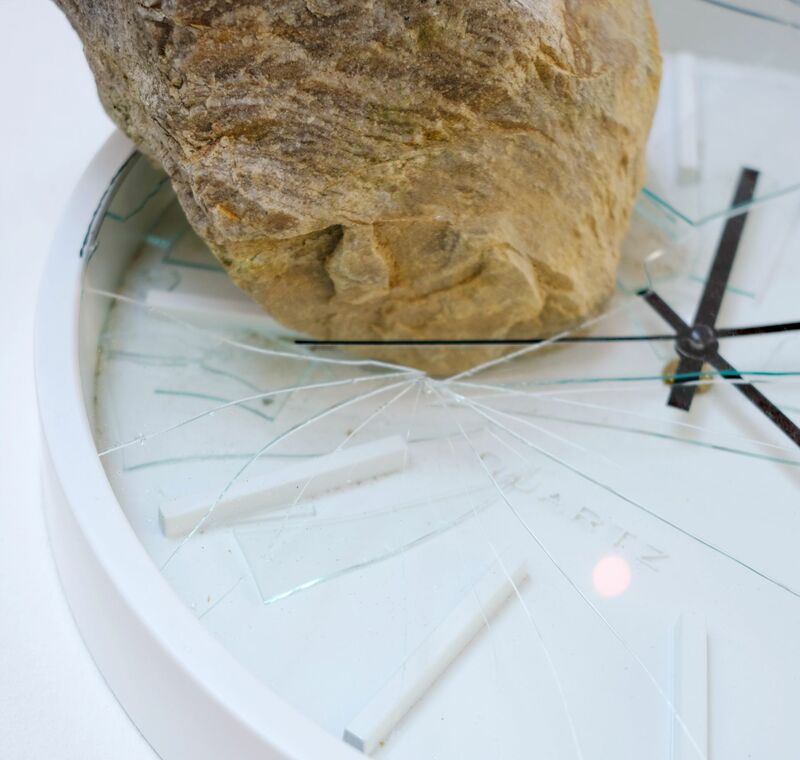 A rock punctures the glass cover of a wall clock, the clock's second hand pulses against the edge of the rock. 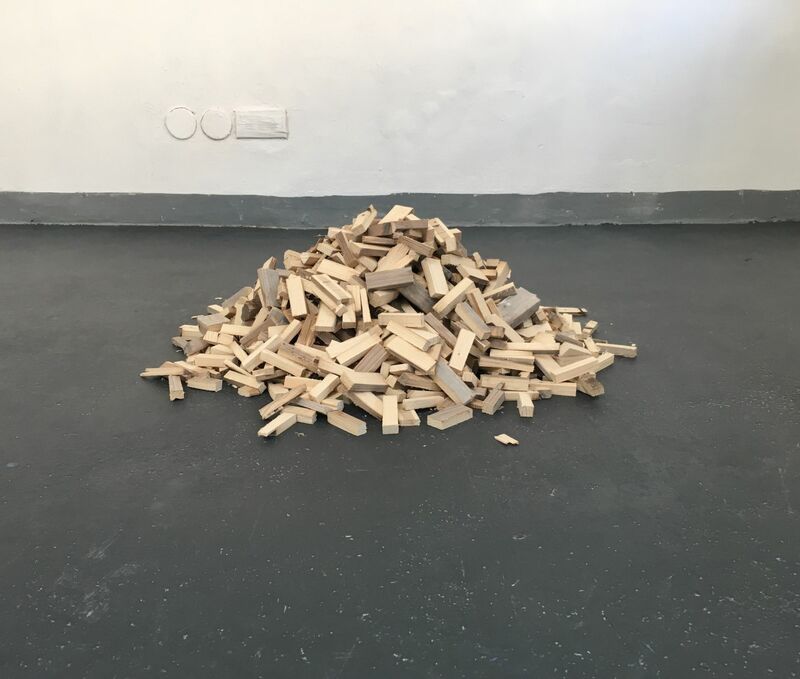 A small step ladder chopped, piled, grounded. Food for the next crop of ladders. 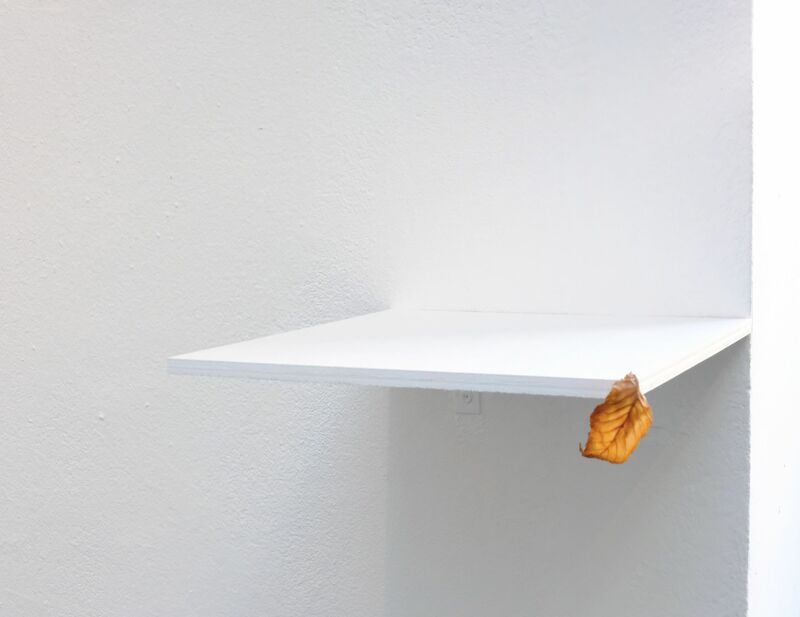 A small shelf, a leaf precariously balanced.